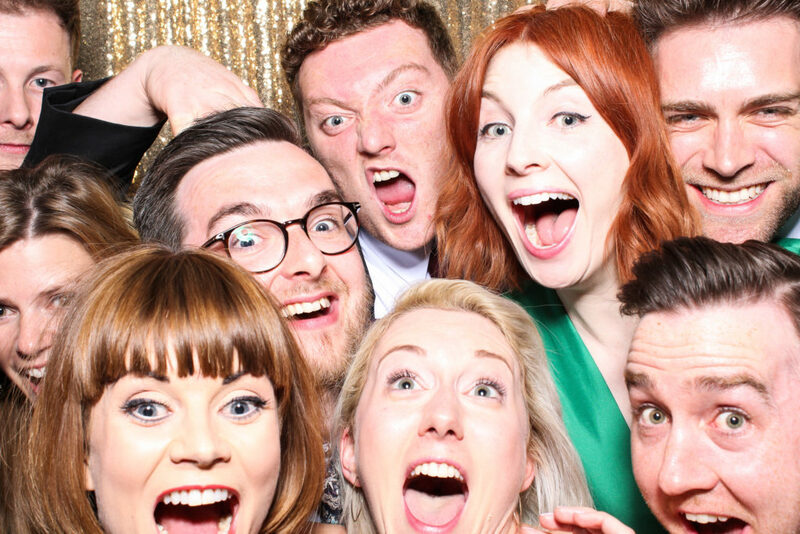 We’ve a passion for photography and a love of fun, which is why we created Snapcandy Photo Booths back in 2013. Interacting with guests to take stunning photos is what we’ve done for years through wedding photography so it was only natural to introduce the experience in a booth! With our background in professional wedding photography we have the skills to ensure you have the most fabulous experience on the night, and can also enjoy professional quality prints and digital images. But there’s more to it than that; we love providing an experience for your guests rather than just a service. We created Snapcandy Photo Booths because we love working with people to capture amazing memories. Our booths are high end, professional quality photo booths utilising Canon hardware, full HD video messaging and Apple software. The touchscreen interface is inside the booth giving users full control over their photos. The booth frames are completely stable and the exterior skins are fully customisable; we can display logos, monograms, special messages or anything else you please! Plus the prints are ready in just 30 seconds and they’re touch dry instantly too! 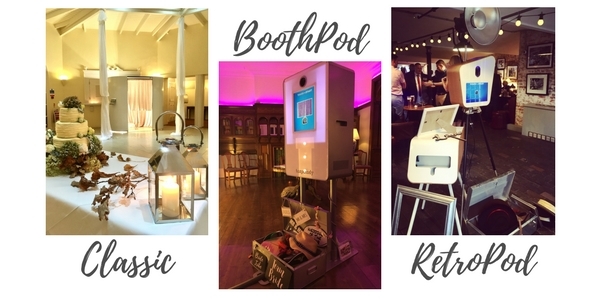 Introducing the latest in Photo Booth technology and giving you the benefits of a ‘small footprint’ Booth yet with all of the features of our Classic Booth and more! – A Stylish Pod design that looks fabulous in any setting! – Choose your backdrop, either use one of ours or use a feature of your venue as the backdrop such as exposed brick, wood panelling etc. For Product Launches, Corporate and VIP events we can also supply custom backdrops or branded press board style backdrops which look fabulous and are also an excellent way to engage people with your event and message. – The best Dye Sublimation printing for instant touch dry prints! – Animated GIF Booth is also available. If you need more information on the specific booths we use then click here to get in touch. Want to see some photos? 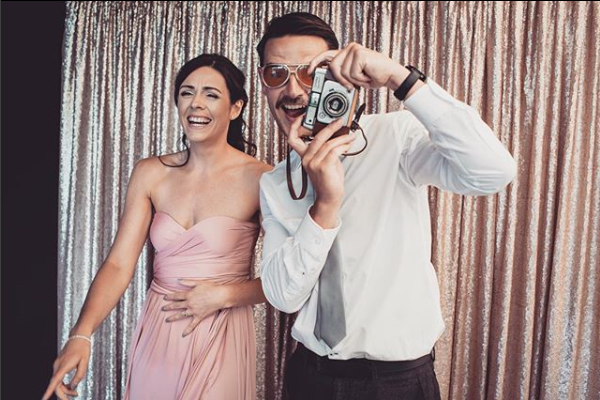 We regularly update both Facebook and Instagram with photos of our Photo Booths at real Weddings and events – go check them out! Introduced in 2017 this booth is a beaut! Available in either plain white or wood the RetroPod looks good wherever she goes! With professional studio grade lighting the image quality is second to none so your guests might start off having fun with our props but soon just get lost in the photo shoot feel of this fabulous booth! Coming Soon… Watch this space for an exciting new addition to the Snapcandy family in early 2019! 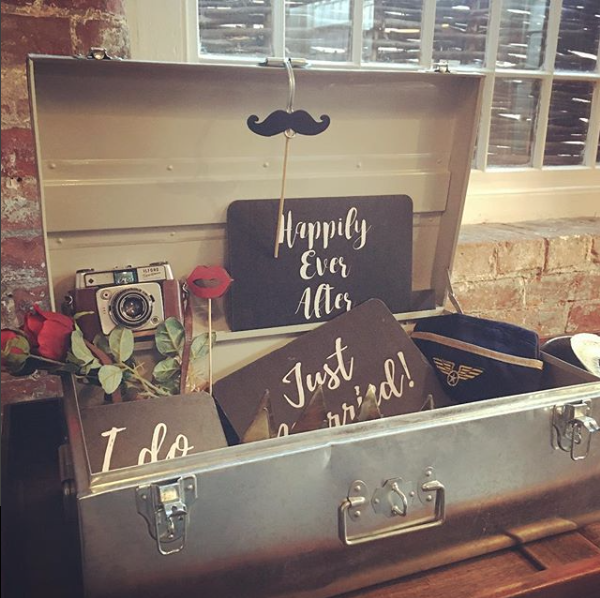 We have an array of props to suit different themes, tastes and styles! The fun and silly props like hats and funny glasses are always so popular but we also stock vintage props and quirky props too! We love seeking out new and exciting items for you to have fun with, so if there’s something in particular you would like to see featured on your photos please just ask! For special themed events such as birthday parties or corporate events we can provide a completley tailored prop selection. Some of the themes we’ve done in the past include football, hollywood, superheroes and 1980’s disco! If you’re getting married our selection of hand-written style wedding signs look super in the photos and help guests to get creative in front of the camera!